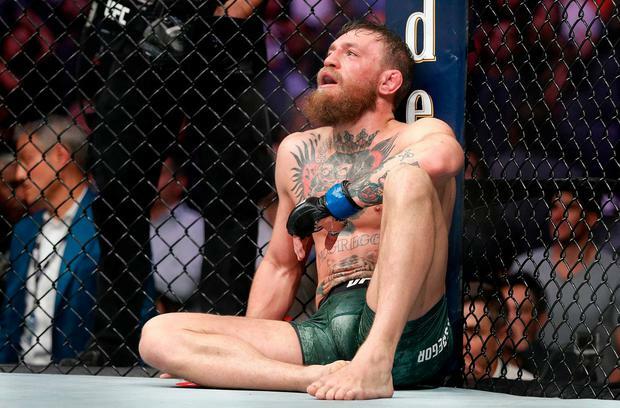 The Nevada State Athletic Commission (NSAC) will be filing a complaint against Conor McGregor for his role in the mass brawl that marred Khabib Nurmagomedov's victory over the Irishman at the weekend. Nurmagomedov's $2m purse was withheld after the fight at the T-Mobile Arena when the Russian scaled the cage and jumped two footed towards McGregor's team-mate Dillon Danis. A mass brawl outside the Octagon ensued before three members of Nurmagomedov's team attacked McGregor who was still recovering from his fourth-round choke out. While McGregor's purse of $3m was initially withheld, he later received his pay cheque but footage has since emerged of the Irishman appearing to throw a punch at a member of Nurmagomedov's team on top of the cage, before he was blindsided by Zubaira Tukhugov, a Russian mixed martial artist of Chechen descent who formerly fought in the Featherweight division of the UFC. Having reviewed all the footage available, the NSAC has now confirmed a complaint will be filed against McGregor. "We will be filing against Conor McGregor and Khabib Nurmagomedov," NSAC chairman Anthony Marnell told ESPN. "Because we withheld one purse, we will have to move expeditiously to a complaint and hearing. We have held 100 percent of one of the fighter's money, so the goal is to get the complaints out in the next 24 to 48 hours." Nurmagomedov has yet to receive his $2m purse but UFC chief Dana White says it would be unfair not to pay the champion. "They took his whole purse right now and they're talking about keeping his purse - I do not think that that should happen," White told TMZ Sports. .
"You should not be able to keep his whole purse. "I think they should take $250,000 from him. He absolutely keeps his title. And he's going to get suspended, so maybe you give him a four to six months suspension. "I don't think there's too many people who don't understand why he did it but he shouldn't have done it."